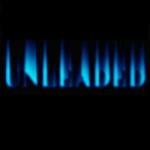 The Unleaded are a London-based rock band originally from the island of Cyprus. * Your song 'Scream at the World' has just been added to Flying Fred´s Indie Rock Show station! * Your song 'Scream at the World' has just been added to Hard Rock Homeboy station! * Your song 'Revenge' has just been added to Hard Rock Homeboy station! * Your song 'Scream at the World' has just been added to playlist 15 station! * Your song 'Revenge' has just been added to *****HOLLYWOOD ENDING***** station! * Your song 'Elladara (Greek Version)' has just been added to Cha Cha Cha station! * Your song 'Lie (Demo)' has just been added to DAVE RADIO station! * Your song 'Revenge' has just been added to blisss station! IAC Your song 'Scream at the World' has just been added to Short Takes station! IMP Your song 'Lie (Demo)' has just been added to Works in Progress station! IMP Your song 'Scream at the World' has just been added to Kayak Classics station!